After a couple of years, the tablet you buy today may be out-of-date, so it's understandable if you don't want to invest too much money in one. That being said, you don't want to buy just anything, as not all low-cost tablets are necessarily good ones. We've picked a few winners that will help you save money, while getting a powerful enough device to suit your needs. Beware of cheap tablets, because you get what you pay for. 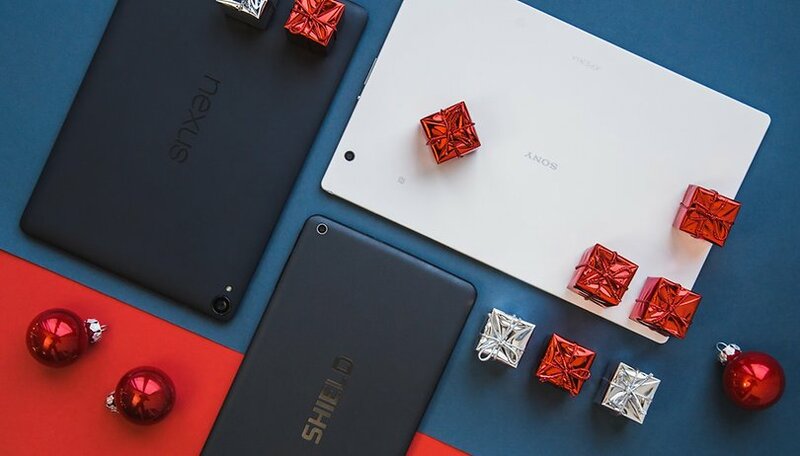 Many of the lowest priced tablets, especially from unknown Chinese brands or those sold in supermarkets, are poorly designed and have little to no after-sales service. These tend to have a lot of issues, so to avoid hassle, you should familiarize yourself with the specs and user reviews of the device and check if it is compatible with the Google Play Store before buying. If you're looking for the cheapest (but still decent) Android tablet on the market, the Amazon Fire HD 8 is what you want. At $80 on Amazon, it's the least costly tablet on our list. Amazon's tablets run Android, but with a heavily modified interface, so you can still install Android apps without a problem. It gets the job done with an 8-inch display, 1,280 x 800 resolution and 189 pixels per inch. It's compact, simple and effective, which makes it the perfect low-commitment, entry-level tablet. Up to 10 hours of reading, browsing the web, watching video, and listening to music. Huawei is offering a more accessible tablet this time with the Huawei MediaPad T3. It's a $159 10-inch tablet, which is a rare display size to see at this price. It comes with Android Nougat and 16 GB of internal storage (expandable via MicroSD). It has great build quality, so it feels like a more premium tablet. It's definitely one of the best deals on this list. This tablet from Lenovo is unique because of its built-in kickstand, loud dual speakers, 8 MP rotatable camera and long battery life. The 8-inch Yoga Tab 3 sells on Amazon for just $139, and is powered by a 1.3 GHz Qualcomm Snapdragon processor that offers solid performance, as well as a 6,200 mAh battery that offers up to 20 hours of usage time and 95 days of standby time. Launched in 2016, the 7-inch Galaxy Tab A means business with a display that's very flattering for its size and $99 price. If this tablet doesn't stand out with its originality or features, it's sufficient for simple tasks like surfing the web, playing games, watching videos and such thanks to its fast processor. Another advantage is that it's from a reputable brand with good after-sale service. One drawback is that it's running Android 5.1, which is getting a bit old. At $169, the Lenovo Tab 4 isn't the cheapest on this list, but it does have the largest display. With 10.1 inches, the display has a 1,280 x 800 resolution and is great quality. It comes with Android Nougat, and is great for basic use, but it has its limitations in terms of speed like all the tablets on this list. If you're looking for a good media tablet, this is a solid choice thanks to its speakers, which are pretty decent for a tablet, and MicroSD compatibility. And finally, if your budget will allow, check out our picks for the top tablets overall in any price range. Have you bought a tablet under $200? Do you have any recommendations for us to add to this list? Let us know your experiences and questions in the comments! That Amazon one is not a good choice unless you are very particular about low budget. A table is useful for those who want more than what offers the relatively small diagonal of the mobile phone. Personally I prefer tablets with a diagonal of 10 "because I read documents and sometimes watch movies and the big surface is very comfortable. However, tablets with a diagonal larger than 10" are expensive, and are not so diversified, being devoted to a narrower segment of users. In this case, it may be preferable to choose an ultra-book laptop. And this price of less than $ 200 is very tempting. I prefer to use a tablet around 10 inches as well when reading documents or books in the Kindle app. I too like watching videos on the larger screen. A phone is great for consuming media when it's inconvenient to use a tablet but the smaller screen strains my old eyes. you can get a Samsung Tab A 8 inch for under $200.00 great tablet!! You should do an update for the Samsung Galaxy Tab A 2017 edition. Sadly, that one still costs $300. Not the 8 inch, it is 170 at bestbuy right now and normally 199 I believe. Nice article. Only one comment, the fire tablet is a decent low cost tablet, but in my research last Christmas I learned that the play store can't be used and not all apps are available for it. That's what stopped me from buying one for my grandchildren. There's no Play Store fresh out of the box, but with a couple tweaks, it's actually very easy to get Android apps on Fire tablets. I like the Samsung 10.1" Galaxy Tab A T580 it cost over 200 unless you get them on sale. Mainly because it can be bought with a s pen like the Note series phones and the rectangular shape VS square make it much better for web browsing and movie watching. Dear to my heart, being a committed 8" tablet user around the house, while the phone is limited to voice/SMS and carry out. Users differ a lot in demands: it's never taken much to satisfy ereader, browser, Google Earth, Chromecast, sometimes muskoka chair evening video streaming in the backyard - no gaming or high demand photo or video post-processing. 8" is a good, light paperback book size, and anything a 10" is needed for I'd much rather do on PC or laptop. My hard-won lessons from several years of relatively low-end tablets are: minimum specs should be 2gb RAM, 16gb internal storage with a microSD for data, 1280 X 720 and 720p streaming are good on small screens, battery should be over 4000mAh, Qualcomm or Intel processors are fine, MediaTek is the kiss of death. Update: I liked the looks of the Lenovo Tab 3 above, but ended up purchasing the Tab 4 8", sale price U$105, which gives away some battery but was upgraded to Oreo last November. ($10 shell cover provides a backstand.) It's been great for half a year now.